The first step is identifying the problem. Then you define the constraints, and then you find the solution. The problem in the most simplistic terms, the Middle East is overrun by terror groups supported by nations who use the turmoil for their own gains. The constraints, cost, finding a trustworthy ally, and the limits we are willing to accept. 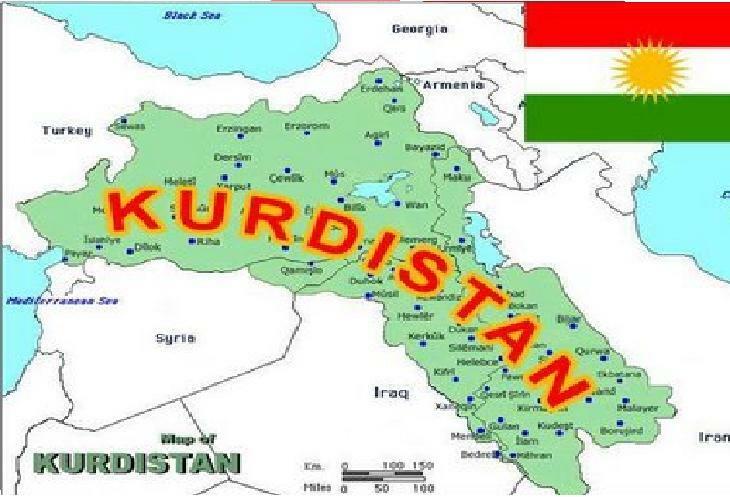 The solution, create the Nation of Kurdistan, limited to Iraqi territory for now, and stick a sharp blade into the ribs of ISIS, Iran, and other terror groups. The Kurdish people provide the one ray of hope in the otherwise hopeless region of the world we know as the Middle East. They proved it when they stood their ground alone against ISIS and they proved it again when they rescued the Yazidis. They have been proving it for years but the U.S. has not rewarded their courage properly. We need to give the Kurds their own Nation and back them to the hilt. The carving up of the Ottoman Empire after WWI created this mess; it is time to start fixing it. Establishing the Nation of Kurdistan will do three things, it will demonstrate political resolve to our allies, it will be a positive response against ISIS, and it will give the Middle East nation with the best chance at forming a stable government an opportunity to thrive. Ask most military personnel familiar with the Kurds and they will tell you that they think they are okay. That might not sound like the ringing approbation it is to people who haven’t been there, being ‘okay’ in this context means that they are similar to us enough that we get along quite well. What do you think of Oklahoman’s, their okay, that sort of compliment of equality is rare in the Middle East. Kurds demonstrate how Islam is supposed to be. They are tolerant of others and they have actively put their lives on the line to defend other faiths and paid in blood doing it. They may not be perfect but they are a far cry from the rest. Kurds still operate along tribal family lines but those lines extend to all Kurds, they understand the hospitality due a guest, and they don’t knife you in the back the moment it is turned. That is significant because it gives them a unity you don’t find in Arabs. They call their warriors Peshmerga “those who confront death.” That is a warrior slogan. They fight hard and don’t have a lot of quit in them, even when we have abandoned them. We saw them as a separate people when we needed to deal with Saddam, but when we were ‘Nation building’ we lumped them in with all Iraq. Unlike the Iraqis, the Kurds can, will, and are standing up to ISIS effectively. They have been denied support initially because the support went to Iraq. It is time to accept the reality that Iraq is going to implode. The Kurds have a chance if we help. We need to save what we can and the Kurds are worth saving. The polite fiction that Iraq ever really controlled the area of the Kurds needs to be pushed aside and the reality of the situation addressed. ISIS will continue to grow and gain in both resources and reach unless we stop them and a Kurdish Nation will help do just that. A few weapons and airstrikes are nice. We need to put a couple of brigades on the ground and start actively supporting the Kurdish resistance of ISIS. Two brigades plus logistics established in the area after driving in from Turkey would fix ISIS nicely. They could relieve Mosul and take the pressure off Erbil at the same time. Getting Turkey to agree would be a challenge but one that could be overcome if we also guarantee that chunks of Turkey don’t get carved off for the new nation that is about to be ripped from Iraq’s northern area. The Turks have the majority of the Kurdish population and traditionally a huge Kurdish territory from ancient times. But with the guarantees and a free Kurdish State, the Kurds might very well be convinced to go to Kurdistan and leave Turkey alone. Besides, the future Kurdish state will want a satisfied Turkish ally as well since they will be surrounded by enemies and Turkey would be a good future ally. This would potentially be the hardest part of the deal but the most beneficial in the long term. It would ease the refugee situation for Syria as well and while that might not be a direct benefit, it would at least give the Kurdish people in Syria a place to go, which would also make Turkey happy. What would this do for us and why should we do it? If we are ever going to have any kind of lasting peace in the Middle East, we need a nation that is something between a theocracy and a democracy. Democracy in the Middle East will not work. You cannot force a tribal nomadic people into a form of government that requires them to go against the ingrained tribal and familial customs that they have had for millennia. The very reason theocracy works is because it maintains the familial patriarchal society. We don’t want a theocratic state like Iran run by religious zealots. The middle ground is a dictatorship along family lines but with some built in safeguards. For one thing, we keep a permanent presence as both an ally and a control. But unless the Kurds lose their way, they are already the most open minded society in the area. Kurds have had a civil war but this was an instigated war from outside powers who wanted to disrupt the threat by exacerbating internal divisions. Looked at from a different point of view, the fact that so many governments find the Kurds as a divisive issue, is a prime reason to do it. Is this the best solution, for now, it is. And it gives us the precious commodity of time to fix the rest. We are rapidly running out of time as terror groups continue their uninterrupted march toward control and power. We need a choke point on terror. A Kurdish State with permanent U.S. Bases would be that choke point. Resolving the tensions between the Turkish people and the Kurds would help stabilize that region and would allow more control to prevent ISIS from gaining more ground. A strong Kurdish state with Western support would also be another limit on Iran. We also could restore a bit of our National integrity by helping the Kurds we left out to dry after the Gulf War. Do not discount that either. The State Department has a far easier time negotiating when the parties involve know you can trust America to do what it says it will do. American Soldiers who have been based in Northern Iraq during the war found that unlike the Arabs, they got along well with the Kurds, found them likable and dependable. In battle they found them loyal and unlike the rest of the Middle East, the Kurds welcomed Americans with open arms and gratitude. We are fast reaching the stage of international politics where we are damned if we do and damned if we don’t. If I am going to be vilified for something, it is going to be for something that I have done, not something I should have done. It will also have the effect of putting the Russians in check as well. It might be too late for Ukraine, but establishment of Kurdistan and gaining strength in our relationship with Turkey would go a long way towards showing resolve and putting a check on Russian expansion by showing a bit of it on our own. We are facing a crisis; the best way out of a crisis is to act with nobility of purpose. Let’s fix this, Vote Kurdistan.